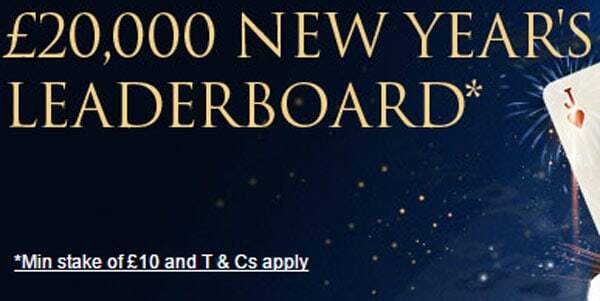 William Hill Leaderboard - A chance to win a share of £20,000. 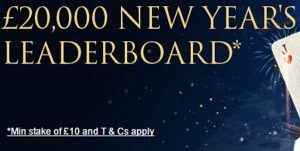 You can take part in the William Hill £20,000 leader board between Friday 30th December and Sunday 1st Jan 2017. All you’ve got to do is press the Claim Now button on the promotions page. 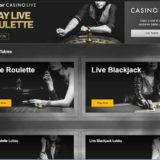 For every £10 you wager on any of the Live Casino Tables you’ll get one point. 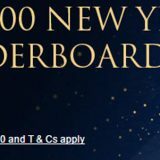 £20k Leader board (the “Promotion”) will run from Friday 30th December 2016, 00:00:01 (UK time) until Sunday 1st January 2017, 23:59:59 (UK time) (the “Promotion Period”). Please note: this is an on-site promotion and only available to customers who have claimed via the relevant promotions page. 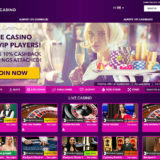 The Promotion applies to Live Casino play only. 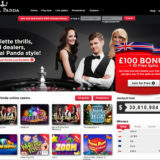 The promotion is only available to players who have claimed and placed a minimum cumulative stake of £10 (or currency equivalent) on any Live Casino tables, on PC and/or Mobile; (“selected games”) during the promotion period. 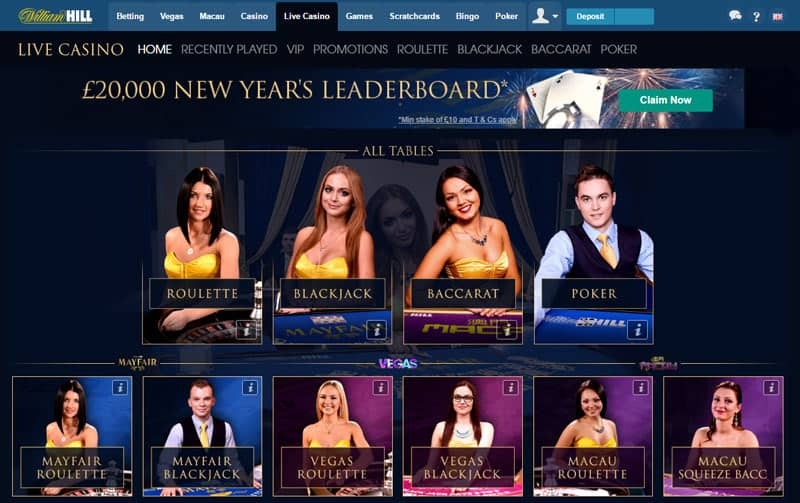 Every £10 staked on any Live Casino table during the promotional period will earn 1 point towards the leader board. Accumulated points will determine a player’s position on the leader board, from highest to lowest. Cash prizes will be paid out within 72 hours of the promotional period ending.